Jessie Burgess and the Abercrombie Plan laid the foundations for the park. Jessie Burgess, a local councillor and the first woman Mayor of Camberwell, is remembered for her work during the blitz and in support of the creation of green space. In 1943 the London County Council’s Abercrombie Plan proposed clearing bomb-damaged and slum buildings in North Camberwell to create a new park, named after Jessie Burgess in 1973. Burgess Park is named after Jessie Burgess who was a long-standing Labour councillor for the Borough of Camberwell from 1934 to 1951. 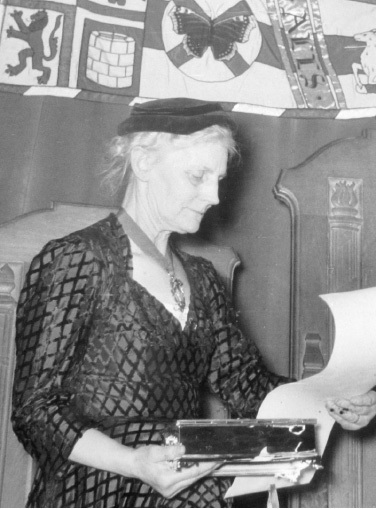 In 1945 Jessie was the first woman to be Mayor of Camberwell. Subsequently she received several honorary titles being made a Honorary Freeman of the Borough of Camberwell (1958) and CBE (1966). 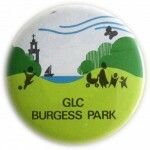 Burgess Park was officially named in 1974. Jessie Burgess died in 1981. Jessie Burgess was active in many local and London-wide committees covering everything from the arts and libraries to hospitals, children’s welfare and housing. Camberwell councillors had been actively discussing the need for more green space from 1920s onwards. With the neighbouring Borough of Southwark Council the first spaces were jointly purchased in the 1930s to make a small playground (Albany Road) and a garden (Rolls Garden, Cobourg Road). During WWII Jessie remained in London and was part of the war effort as a member of the Civil Defence and helping to provide temporary housing and furniture for Camberwell residents whose homes had been bombed. Jessie was extremely active in the Labour Party and co-operative movement and continued with many civic responsibilities after she ceased being a councillor in 1951. Jessie was originally from Brighton and lived in the Peabody Buildings, Camberwell Green. An interview with a local paper says her diary was crammed with meetings and at one time she was on at least forty committees, school governor and a JP. 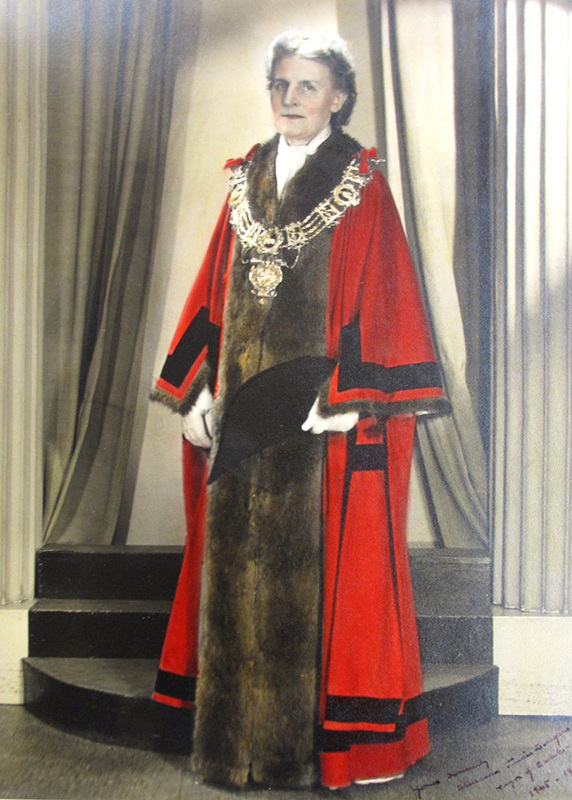 Her husband Frederick J Burgess was also a councillor and followed her in 1947 as Mayor. They must have been a very dynamic pair. During Jessie’s time as a councillor the Borough of Camberwell continued to purchase small areas of land for a green space and by 1943 owned 29 acres. After WWII, the LCC set about planning a new London, sweeping aside the bomb damage and poor housing. The Abercrombie Plan (1943/44), the masterplan for London, established the idea for more green space in London. 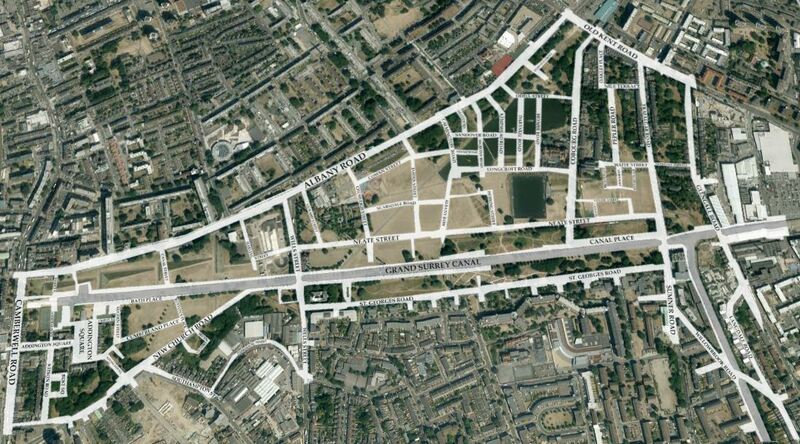 A large area, 220 acres, was identified in north Camberwell due to existing slum clearance proposals and bomb damage. From the very beginning it was intended to be a fifty-year plan to create a new park. Listen to Joyce Bellamy remembering her work for the GLC in creating the park here. Looking through the local press cuttings it is clear that both the LCC and the GLC faced opposition to the new park. Immediately after WWII there was demand for more housing, the compulsory purchase process was slow and left many boarded-up buildings making the area extremely desolate. During the 1950s and 1960s London population decreased. 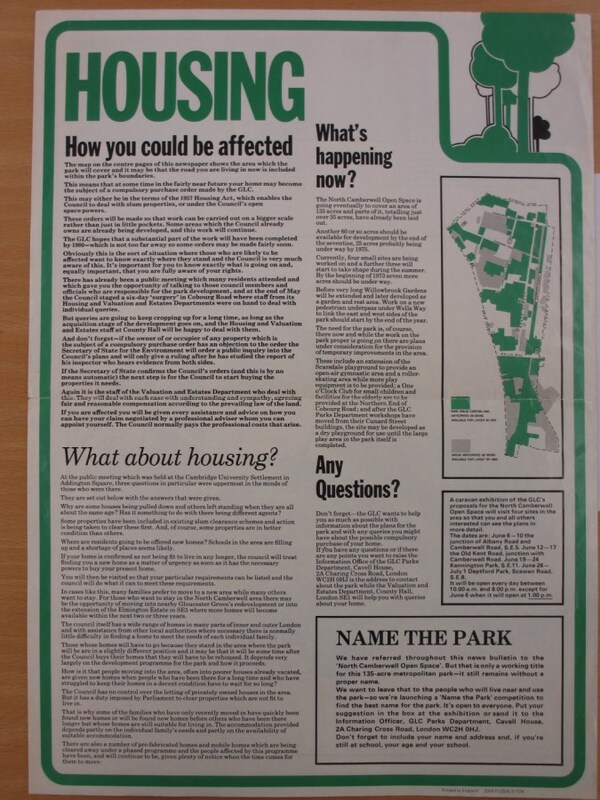 But by 1971 a local campaign proposed building 6000 homes rather than keeping a park. At the same time a new generation of people were discovering the Victorian and Georgian houses of the area, like Trafalgar Avenue, Glengall Road and Addington Square, and campaigning to keep them. By this time 35 acres had been laid out at the Camberwell Road end of the park, and this was called the North Camberwell Open Space. Local government administrative arrangements changed several times during the setting up of Burgess Park. The small borough councils of Camberwell, Southwark and Bermondsey (which existed from 1900 to 1965) were combined into one local authority – Southwark Council. Meanwhile at the London level the London County Council (1889 to 1965) became the Greater London Council (1965 to 1986). Once this was abolished, the responsibility for the park transferred to Southwark Council. In 1972 the GLC ran a competition to name the park, previously proposing to name it St George’s. 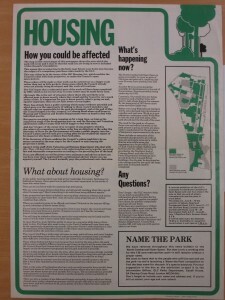 However, Southwark Council lobbied hard, and the park was re-named Burgess Park in 1974. Kind-of appropriate, since Southwark Council were to take over the park in 1986. Hi – My name is Graham Evans and I have been to 2 of your events and I found them very useful and interesting. I have spoken to some of you already. I wish to know who owns the copyright of the painted portrait and photo of Jessie Burgess on your website. I hope you can tell me. Good to see you again last week. Hope you enjoyed the event. The images on this page came from the Local Studies Library at the Borough. Dr Patricia Dark is very helpful, and she should be able to help you with this. I don’t have the reference for it at home, but it’ll be easy to find in the ‘Portraits’ section at the library. The label on the image says the photographer is ‘Barr. Copyright’, which I presume means it’s not their copyright, unfortunately. If it was, it’s easier to get permission to use it. That said, they gave us permission, so it shouldn’t be a big problem. I was very interested to read some of the history of Jessie Burgess, who we knew as Nan. Our link to is that my mother was her Mayoress for two terms just after the war. Nan chose Pamela Phillips to be a representative of the young people of London who had suffered so much during the war years. As a 17 year old school girl this was a great honour and hit the headlines of the day. It would be good to hear from anyone who remembers her time as Mayoress of Camberwell. This is fascinating, Trevor, thanks for sharing this information. Another trip to Southwark archives is called for I think. Do you have any photographs we could add, please? What a lovely story, revealing a a deep personal side to Jessie – ‘Nan’!